The Micat operates on a demand-based timetable, so during our busy periods we can run up to 5 times per day. During the quiet times we generally don’t run at all on a Wednesday, and only run once per day on other days except Friday and Sunday when we run twice. 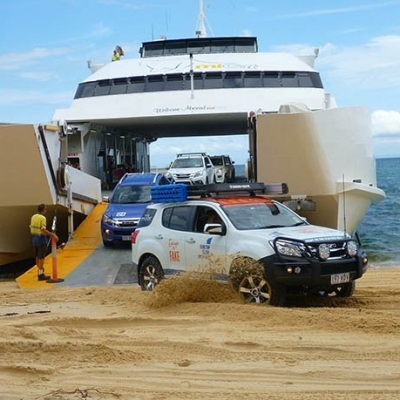 As the Micat takes approximately 90 minutes to reach Moreton Island, our turnaround time is approximately four hours (including loading), so make sure you get in quick to get the best departure time from Brisbane and Moreton (no one wants the 10pm service off the island!). Bookings are essential for both passengers and vehicles on the Micat. 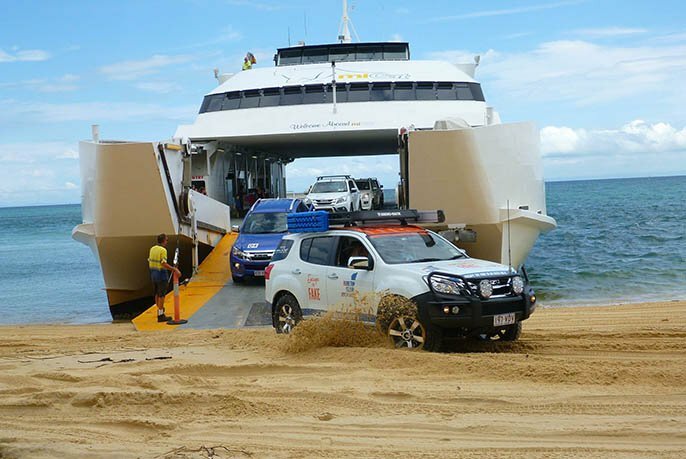 If you’re planning on taking your 4WD over for a weekend, or a long weekend during summer, we recommend booking at least 4 weeks in advance to get the best ferries. If you’re looking to travel in the September, Easter or Christmas QLD school holidays, or Easter itself, we recommend booking 6 months in advance to get the best travel times. 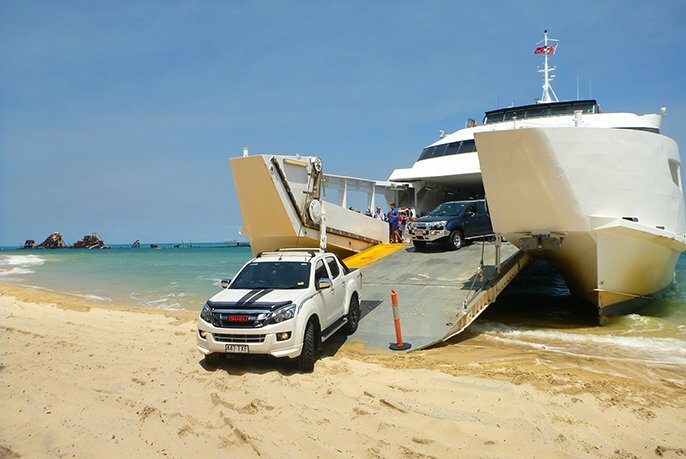 The most popular ferries generally book out around 5 months prior to departure for these periods. If you are camping in peak times we recommend you check availability with National Parks before you book the ferry as campsites book out very quickly! We also recommend booking your walk-on tickets a week prior to travel, and if you’re travelling in school holidays, at least 2 weeks prior. 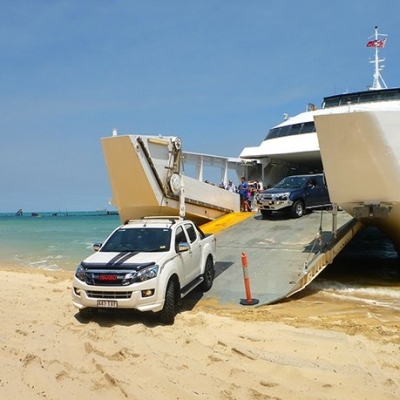 If you are a “First Timer” click the button below for a guide to all things Moreton Island. Please note that this table is a guide only, the best way to book your vehicle correctly is to measure it. Book a Micat Ride Today! If you’re interested in checking availability or booking, click here to visit our secure online portal.